The role of low-cost manufacturing in the development of a country cannot be overemphasized. Research has shown that manufacturing is very essential to the economic development of a country. 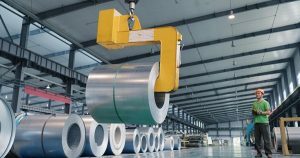 A McKinsey report regarded manufacturing as the major contributor to disproportionate exports, innovation and overall growth and productivity. The recent general increase and China’s transition into a manufacturing giant has created an avenue for low-cost manufacturing countries such as the “Mighty five” i.e. Malaysia, India, Thailand, Indonesia, and Vietnam otherwise known as MITI-V to inherit the crown of China. Based on the data gathered from the experts interviewed, it was revealed that India is in the best position to be the next top hub for low-cost manufacturing followed by Vietnam. Although China, the United States, and Germany are among the most competitive manufacturing countries in the world, it is speculated according to a survey carried out by Deloitte that the MITI-V will soon have a place among the top 15 most competitive manufacturing countries in the world. They are often regarded as the “new China” for low-cost manufacturing which provides labor-intensive products like basic consumer electronics, textile, toys, and apparels. China’s manufacturing process has opened a new avenue for low-cost manufacturing countries to enter the market and offer their goods and services. Some experts in the market believe that the increased competitiveness of China in the areas of advanced manufacturing of complex products such as advanced manufacturing equipment, robots, semi-conductors and Smartphones, and airplanes has caused an increase in the wages of workers thus driving out low-cost manufacturing hubs. This very increase has forced the low-cost manufacturing business such as shoe-making and apparel to ply their trades in other countries like Vietnam, and India who offer an already available market for these products since China is more focused on upgrading their industries from the normal medium to high tech which most manufacturers cannot cope with.Manufacturing experts see a minimum level of education for all workers, a supportive policy environment, availability of engineers, economic growth, a large internal consumer market, good quality infrastructure, low labor costs, and young populations as a variety of areas which are important for low-cost manufacturing competitiveness. Although all the Member countries of the MITI-V have their advantages and disadvantages, it is highly believed that India has the best potential to be the next hub for low-cost manufacturing and will become the center for electronics assembly. This was evident in the fact that Huawei, one of Chinese giant consumer appliance manufacturers announced that it would manufacture about three million of its Smartphones per annum in India. This is immediately followed by the Apple supplier Foxconn which is planning on creating a $10 billion manufacturing plant in India. India’s strength is a mixture of a labor force which is high- and low-skilled and has the potential to sell to its growing market of over 1.2 billion consumers per annum. Despite the fact that most of India’s population is poor, there has been a general increase in their income rates. At the moment, India has a large base of University graduates who are ready to join the workforce at any time. This large base of educated individuals can serve in the capacity of design and manufacturing engineers as compared with what is expected from the other MITI-V countries. A look at India’s environmental policies has shown a great support to the manufacturing industry. In 2014, the Indian government launched the “Make in India” campaign. This campaign was aimed at increasing the level of manufacturing in the country. The introduction of this policy has greatly improved the level of manufacturing in India. In 2015, India was able to overtake China in the total number of most direct foreign investments received globally and there has also been a considerable improvement in the administrative efficiency at the federal level. Due to the stable political environment provided by Vietnam, there has been some considerable amount of increase in the total number of Chinese companies moving into Vietnam. 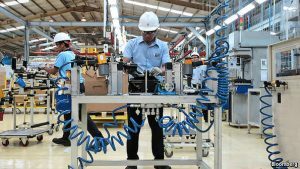 Vietnam as a country offers manufacturers a low-cost manufacturing alternative to its regional peers where there is a rising cost of labor. Companies like Intel and Samsung are investing in the country. Vietnam is emerging as a major location for high-technology manufacturing in the region. Vietnam is a major provider of low labor costs at a strategic location and a large manufacturing sector has assisted the country to emerge as a major electronics exporter in the region. Based on data gathered by trade sources, about 50% of Samsung’s mobile phones were manufactured in Vietnam in 2015. Vietnam was also regarded as the major exporter of agricultural products, oil, and textures. As of 2015, it is the largest exporter of rice and the second largest exporter of coffee. The general movement of Chinese based companies into India and Vietnam has really increased its productivity and over time, India and Vietnam may contend with China as the biggest manufacturing hubs in Asia.